What Is Supercritical CO2 Extraction and why is it important? Supercritical fluid extraction (SFE) is the process of separating components from each other by use of a particular type of solvent. These types of solvents are labelled “supercritical” by virtue of the fact that when they are exposed to extreme temperatures and pressures, they display structures that fluctuate between intermediate states of solid, liquid, and gaseousness. When in this state, supercritical fluids are capable of breaking down structures where they can then be separated, or fractioned. Among the variety of supercritical solvents used for this process, the most common by far is CO2. 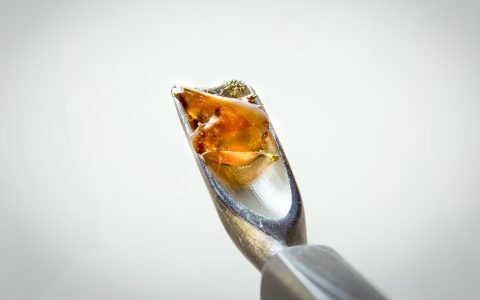 Supercritical (sc-CO2) extraction has been around for decades, appearing first in the 1980s and 90s as a cleaner and more viable alternative to other methods of separation and extraction. From the decaffeination of coffee and tea to the extraction of essential oils for perfumes, this process has become commonplace in many industries. What Are the Benefits of Using CO2? Carbon dioxide within our natural atmospheric temperature and pressure rests in a gaseous state. CO2 must be frozen and compressed into a liquid and then further until it reaches its supercritical point. Under controlled circumstances, supercritical CO2 can be used to dissolve substances into “fractions” that can be removed. CO2 is a naturally occurring compound. It exists all around us and our bodies produce it. As far as non-polar solvents are concerned, CO2 is among the safest. In fact, the FDA has labelled CO2 safe for industrial extractions, making it a much less controversial solvent than petroleum-based hydrocarbons such as butane or propane. The conditions that allow CO2 to change from a fluid state to a supercritical state can occur without having to exceed temperatures above 90°F, meaning there is less risk of compromising the natural volatile compounds found in cannabis. CO2 is also unique in that its solubility will change with pressure, allowing for fractioning of the many different types of biomolecules available in cannabis strains. CO2 extraction can be used to pull various cannabinoids from the plant such as THCA, CBD, CBG, THCVas well as terpenes and other compounds.